Dissolve one portion of the product – 30 g (1,5 scoops) in 200 ml of water or milk; use a shaker or a blender. Take 3 servings daily. On workout days: 1st serving in the morining after getting up, 2nd serving within 1,5 hours of workout, 3th serving at bedtime. On non-workout days: 1st serving in the morining after getting up, 2nd serving between meals, 3th serving at bedtime. 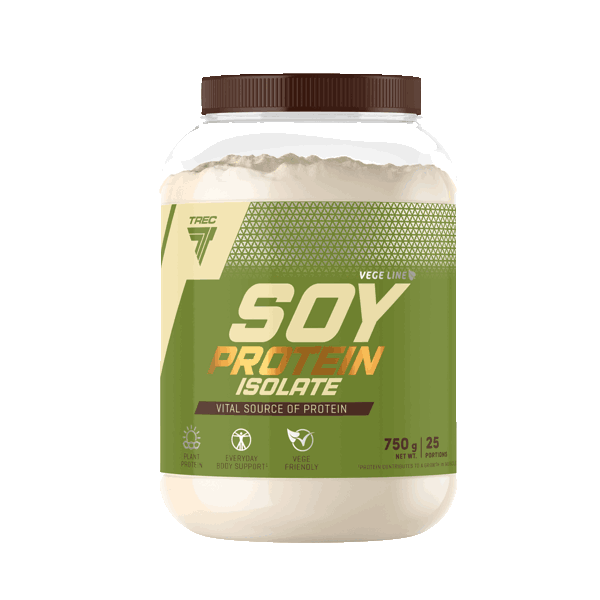 INGREDIENTS: soy protein isolate (94,8%); cacao powder for the chocolate flavour; aromas; fructose; sweeteners – sodium cyclamate, sodium saccharinate, sucralose; colour for the vanilla flavour – beta carotene.